Thank you for using Track With Ease! These terms of service (the “Terms”) govern your access to and use of Track With Ease (“we” or “our”) websites and services (the “Services”). The Services are provided by Track With Ease, LLC (“Track With Ease”), located at 576 Fifth Avenue, Suite 903, New York, NY 10036; Phone: (212)203-7259. We strive to give our users the best experience possible. Because deals revolve primarily around two things: people and documents, we bring them together in something we call a “Track,” allowing you to complete your entire transaction, all in one place. The Track With Ease Services provide an environment to facilitate deals, but Track With Ease is not responsible or liable for any part of the underlying transaction. Our Services provide an interactive, Internet-based platform that lets users create, edit, negotiate, upload, download, share and sign documents and contracts on-line. An outline of the entire process, start to finish, of how documents are added, accessed and used inside our Services can be found here. These Terms apply to all users of the Services. You may use the Services only in compliance with these Terms. If you do not agree to be bound by and comply with these Terms, you may not use the Services. The Services and all associated content (including any derivatives of or enhancements to the same), and all intellectual property rights to the same (including trademarks, service marks, trade names, trade dress), that appear in connection with the Services, are owned by or licensed to Track With Ease. The Services are being licensed, not sold, to you by Track With Ease only for use under the Terms. You do not acquire any right, title or interest in or to the Services or any associated content other than the limited license granted to you by these Terms. Any rights not expressly granted to you in these Terms are expressly reserved. In connection with your use of our Services you may submit documents and other content (“your Content”) to the Services. Subject to ownership interests of third-parties, you will retain full ownership of your Content. We don’t claim any ownership to any of your Content. These Terms do not grant us any rights to your Content or intellectual property except for the limited rights that are needed to run the Services. We may need to access or otherwise process your Content solely for purposes related to the Services. You agree that we have your permission to access or process your Content for such purposes. This permission extends to trusted parties we work with to provide the Services. Such processing includes technically administering our Services by, for example, backing up data or enabling documents in portable document format (PDF) to be edited. You acknowledge that Track With Ease has no obligation to monitor any information on the Services. We are not responsible for the accuracy, completeness, appropriateness, or legality of files or any other information you may be able to access using the Services. The Services provide features that allow you to share your Content with others. Please consider carefully what you choose to share. Track With Ease has no responsibility for that activity. You agree that you are responsible for not sharing, copying, or uploading forms or other files unlawfully or in violation of terms governing any third party content. By using the Services, you acknowledge that Track With Ease does not have any obligation to monitor any information on the Services. We are not responsible for the accuracy, completeness, appropriateness, or legality of files or any other content or information you may be able to access using the Services. Please be aware that adding mortgage lenders or other settlement service providers to loops and charging those lenders or providers for advertising space could have implications under the Real Estate Settlement Procedures Act (RESPA). Track With Ease makes no representations about whether such arrangements comply with RESPA and is, in no way, responsible for any losses, penalties, or any other damages that could be incurred by or assessed against you or any other company or person for violations of RESPA and/or any other federal or state laws. We recommend that you consult with an attorney regarding the compliance of any arrangement with settlement service providers in regards to RESPA and/or other applicable laws. You, and not Track With Ease, are responsible for maintaining and protecting all of your Content. Track With Ease will not be liable for any loss or corruption of your Content, or for any costs or expenses associated with backing up or restoring any of your Content. Use of your subscription is personal to you or your organization, as applicable. Except as specifically permitted by these Terms, you may not resell, assign, distribute, transfer or otherwise provide your subscription, your Login ID and/or Password to any third party. You are also solely responsible for any activity using your account, whether or not you authorized that activity. You should immediately notify Track With Ease of any unauthorized use of your account. The Services are currently subscription-based, but we reserve the right to implement other pricing models in the future. You agree to pay all applicable fees in connection with your subscription including any applicable taxes that we do not collect on your behalf. You must have a credit card to subscribe to the Services unless we otherwise agree in writing. Your credit card will be automatically charged for all fees incurred under your subscription and you agree that we are not required to send you any advance notice or confirmation that your credit card has been charged. If we are unable to charge a payment to your credit card or are otherwise unable to obtain payment for Services when due, we can immediately suspend or terminate your access to the Services until we receive payment from you. Current fees for individual subscriptions will be posted on our website, but special fee arrangements (e.g., enterprise fees) will not be posted. We reserve the right to modify our fees at any time for any reason upon notice to you through posting on our website or notification by email. Any increase in fees will be prospective only, beginning with the next subscription period. We may from time to time add offerings or services for which we may charge additional fees. We will not charge you for such additional offerings or services without first obtaining your consent. These Terms do not grant you any right, title, or interest in or to the Services or the associated content. We appreciate it when users send us feedback, but please be aware that we may freely use any feedback, comments, or suggestions you send us without any obligation to you. The Services are protected by copyright, trademark, patent and other laws of both the United States and foreign countries. These Terms do not grant you any rights to use the Track With Ease trademarks, logos, domain names, or other brand features. 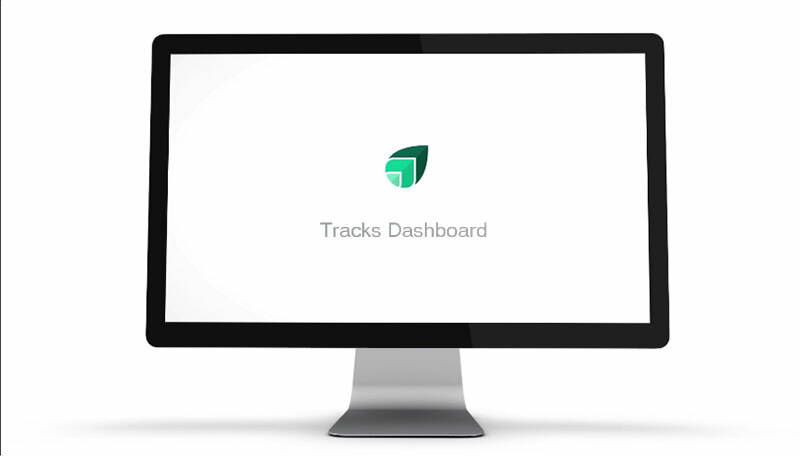 Track With Ease respects others’ intellectual property rights and we ask that you do too. We will respond to notices of alleged copyright infringement if they comply with the law and are properly provided to us. Such notices should be reported using our DMCA Process. We reserve the right to delete or disable content alleged to be infringing and to terminate repeat infringers. We try our best to have the Services available 24 hours a day, 7 days a week. There may still be times when the Services are unavailable for routine maintenance, to correct technical difficulties, or for some other reason. Availability of the Services is subject to change at any time in our sole discretion. We may provide third-party content through the Services. Any such content represents the opinions, judgments, and offerings of the third-party, not Track With Ease. We do not endorse, and are not responsible in any way for, any such content and we expressly disclaim any endorsement or responsibility for such content. The Services utilize Google Maps Application Programming Interface (API) and by using the Services, you agree to be bound by Google’s Terms of Service. Links to other websites are provided for your convenience and reference only. We have no control of these sites, and we are not responsible for their content. We do not endorse, and are not responsible in any way for, any content on these sites and we expressly disclaim any endorsement or responsibility for such content. These Terms are effective until terminated by you or us by three (3) days prior written notice. Upon termination, your subscription will automatically end and you must stop using the Services. You are free to stop using our Services any time by providing us with written notice at support@trackwithease.com. THE SERVICES ARE PROVIDED ON AN “AS IS” AND “AS AVAILABLE” BASIS, FOR USE BY YOU AT YOUR OWN RISK, WITHOUT EXPRESS OR IMPLIED WARRANTY OR CONDITION OF ANY KIND. WITHOUT LIMITING THE FOREGOING AND TO THE FULLEST EXTENT PERMITTED BY LAW, TRACK WITH EASE, AND ITS OFFICERS, DIRECTORS, EMPLOYEES, ANY PARENT COMPANIES, PARTNERS, SUCCESSORS, AGENTS, DISTRIBUTION PARTNERS, AFFILIATES, SUBSIDIARIES, CONTENT PROVIDERS, SERVICE PROVIDERS, VENDORS, LICENSORS, MERCHANTS, RELATED COMPANIES, ADVISORY BOARDS, REPRESENTATIVES, AND SUPPLIERS (COLLECTIVELY THE “TRACK WITH EASE ENTITIES”) DISCLAIM ANY AND ALL WARRANTIES, EXPRESS AND IMPLIED, INCLUDING ANY: (1) WARRANTIES THAT THE SERVICES WILL MEET YOUR REQUIREMENTS OR ACHIEVE CERTAIN RESULTS; (2) WARRANTIES CONCERNING THE AVAILABILITY, ACCURACY, SECURITY, USEFULNESS, TIMELINESS, OR COMPLETENESS OF INFORMATIONAL CONTENT MADE AVAILABLE THROUGH THE SERVICES; AND (3) WARRANTIES OF TITLE, NON-INFRINGEMENT, MERCHANTABILITY OR SATISFACTORY QUALITY, AND FITNESS FOR A PARTICULAR PURPOSE. NOTWITHSTANDING ANYTHING TO THE CONTRARY CONTAINED HEREIN, IN NO EVENT SHALL THE CUMULATIVE LIABILITY OF TRACK WITH EASE OR THE TRACK WITH EASE ENTITIES EXCEED THE GREATER OF (1) THE TOTAL PAYMENTS RECEIVED FROM YOU BY TRACK WITH EASE DURING THE TWELVE (12) MONTH PERIOD PRECEDING YOUR CLAIM, IF ANY; OR (2) $500.00. FURTHERMORE, YOU AGREE THAT ANY CAUSE OF ACTION ARISING OUT OF, RELATING TO, OR IN ANY WAY CONNECTED WITH ANY ACCESS OR USE OF THE SERVICES OR THESE TERMS MUST COMMENCE WITHIN ONE (1) YEAR AFTER THE CAUSE OF ACTION ACCRUES; OTHERWISE, SUCH CAUSE OF ACTION SHALL BE PERMANENTLY BARRED. You agree to indemnify and hold harmless Track With Ease and the Track With Ease Entities from and against any and all claims, liabilities, losses, damages, obligations, costs and expenses (including reasonable attorneys’ fees and costs) brought by third-parties arising out of, related to, or that may arise in connection with any actual or alleged violation or breach of any of the representations, warranties, agreements or promises made by you herein. We may revise these Terms from time to time and the most current version will always be posted on our website. Other changes may be posted to our terms page, so please check those pages regularly. By continuing to access or use the Services after revisions become effective, you agree to be bound by the revised Terms. If you do not agree to the new terms, you agree to stop using the Services. You and Track With Ease each agree to first contact each other with any disputes and provide a written description of the problem, all relevant documents or information and the proposed resolution. You agree to contact us with disputes by contacting us at the address provided in these Terms. We will contact you based on the contact information you have provided us. If you and Track With Ease cannot resolve any dispute after 30 days, the party seeking to pursue a claim will submit the claim to arbitration consistent with this section. The parties understand that they would have had a right or opportunity to litigate disputes through a court and to have a judge or jury decide their case, but they choose to have any disputes resolved through arbitration. You agree that receiving the Services is a transaction involving interstate commerce. These Terms and any related arbitration proceedings will be governed by the Federal Arbitration Act, 9 U.S.C. Â§Â§ 1-16. Any award by the arbitrator(s) may be entered as a judgment in any court having jurisdiction. Either You or Track With Ease may bring applicable claims in small claims court. Also, you and Track With Ease each agree that any arbitration will be solely between you and us, not as part of a classwide claim. If any court or arbitrator determines that this classwide restriction is unconscionable or unenforceable, then our agreement to arbitrate doesn’t apply and the classwide dispute must be brought in court. TO THE EXTENT ALLOWED BY LAW, YOU AND TRACK WITH EASE EACH WAIVE ANY RIGHT TO PURSUE DISPUTES ON A CLASSWIDE BASIS; THAT IS, TO EITHER JOIN A CLAIM WITH THE CLAIM OF ANY OTHER PERSON OR ENTITY, OR ASSERT A CLAIM IN A REPRESENTATIVE CAPACITY ON BEHALF OF ANYONE ELSE IN ANY LAWSUIT, ARBITRATION OR OTHER PROCEEDING. TO THE EXTENT ALLOWED BY LAW, YOU AND TRACK WITH EASE EACH WAIVE ANY RIGHT TO TRIAL BY JURY IN ANY LAWSUIT, ARBITRATION OR OTHER PROCEEDING. THESE TERMS AND THE USE OF THE SERVICES WILL BE GOVERNED BY OHIO LAW EXCEPT FOR ITS CONFLICTS OF LAWS PRINCIPLES. ALL CLAIMS ARISING OUT OF OR RELATING TO THESE TERMS OR THE SERVICES THAT ARE NOT GOVERNED BY THE ARBITRATION CLAUSE MUST BE LITIGATED EXCLUSIVELY IN THE FEDERAL OR STATE COURTS LOCATED IN HAMILTON COUNTY, OHIO, AND BOTH PARTIES CONSENT TO VENUE AND PERSONAL JURISDICTION THERE. These Terms constitute the entire and exclusive agreement between you and Track With Ease with respect to the Services, and supersede and replace any other agreements, terms and conditions applicable to the Services. If you are paying for the Services or someone is paying for the Services on your behalf, the previous sentence does not apply and you remain subject to the terms of all agreements with Track With Ease related to your use of the Services. Track With Ease may assign its rights to any of its affiliates or subsidiaries, or to any successor in interest of any business associated with the Services. Track With Ease and you are not legal partners or agents; instead, our relationship is that of independent contractors. 1) Your responses to all questions throughout either electronic process will be recorded and made part of your electronically signed documents. 2) As part of the use of electronic signatures, you will be required to create a log-in and password for future use, consisting of your unique username and a password specifically chosen by you. You must keep your password confidential as it can be used to electronically sign additional documents. 3) You can return to our website at any time (using your login information) to review, save, and print the documents you signed electronically. -You acknowledge and agree that in the event that any person known to you (whether it be a family member, member of your household, or otherwise) misappropriates any of the security devices connected with your Track With Ease login/electronic signature account and such misappropriation could not reasonably be detected by us, we shall have the right to treat all resulting electronic signatures as though they were affixed by you.